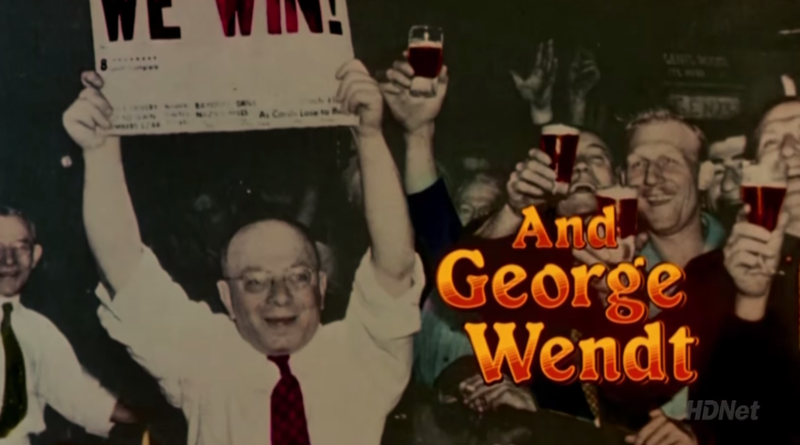 So when it was announced that Schur would be producing a multi-camera sitcom, set in a bar, for NBC, certain segments of the viewing public received the news like a cherubic stock-photo barkeep waving the words “WE WIN!” over his head. 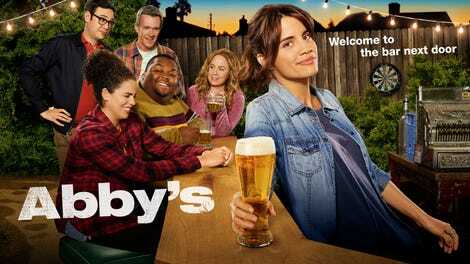 Further cause for celebration: That show, Abby’s, would star Natalie Morales, a Parks And Rec alum who’s been staging a campaign for a starring role in a network sitcom ever since her too-brief stint as an artist-turned-supernatural investigator on the cult series The Middleman. For an added twist of novelty, the whole thing was going to be filmed outdoors, to reflect the fact that its titular establishment is located in the backyard of Morales’ character’s home. Schur, Morales, and creator Josh Malmuth haven’t downplayed the show’s Cheers parallels: In a Los Angeles Times preview of the show, Morales said, “If I could get any kind of comparison to Cheers or Ted Danson—why would you complain about that?” But it is a tremendous hurdle for a show at this stage to overcome, considering that the Cheers pilot is widely regarded as one of the medium’s finest. The three episodes of Abby’s provided to critics have their share of laughs and engaging personalities, but are more in line with the average wobbly multi-cam launch, where premises are plainly stated while the things that set those premises apart—here the open-air shoots and an elaborate set of rules for bar patrons—are sweatily underlined. Morales plays Abby, a former Marine who came home to San Diego after multiple tours in Afghanistan, worked in the service industry, found it didn’t suit her anti-authoritarian streak, and gradually converted the space behind her rental house into a cul-de-sac speakeasy. Other things we learn about Abby through dialogue or plot include her bisexuality, her strained relationship with her alcoholic father, and the intense sense of privacy that keeps these biographical details under wraps—until they’re forced out by dialogue or plot. Abide by Abby’s rules and you just might earn a space at the bar among the regulars: wine mom Beth (Jessica Chaffin), avuncular Fred (Neil Flynn), kindly bouncer James (Leonard Ouzts), and sardonic barback Rosie (Kimia Behpoornia). Your point of entry is Bill (Nelson Franklin), the cloddish landlord who initially threatens to shut the joint down, before being convinced of its value and made part of the gang. Welcome to Abby’s; no phones, please. Such elaboration counts as one of the three episodes’ creakiest elements, along with their uncertainty about what to do with James and Rosie. (This is the first time out as series regulars for Ouzts and Behpoornia, and hopefully their characters are given more definition as the season progresses.) It’s got a solid anchor, though: Morales is an actor who’s spent the past decade or so as a perennial supporting cast MVP, playing a string of best friends, love interests, and sidekicks in performances with added dimensions to their cutting remarks and eye rolls. 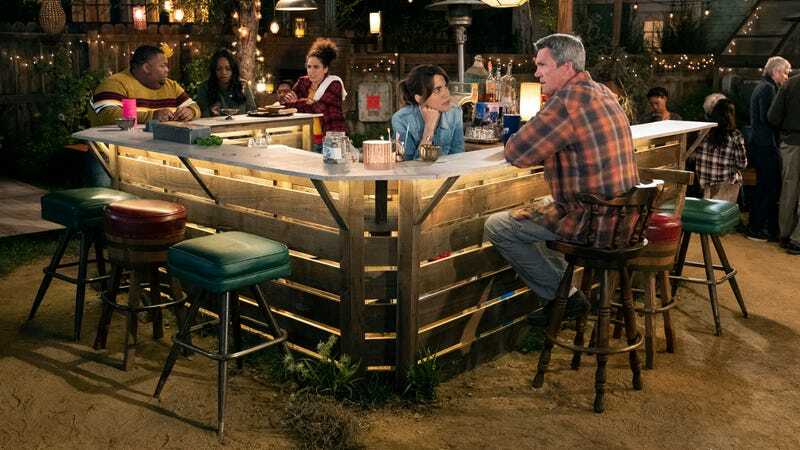 The Abby’s pilot feels like a test balloon for whether or not an entire show can be built around the pricklier facets of those characters, and Morales commands the show as confidently as Abby commands her namesake watering hole. While building the flinty, reserved façade that keeps the backyard barflies in line, she balances an inviting chumminess with Chaffin, and some heartwarming surrogate-daughter-father stuff with Flynn. Opposite Franklin, Morales has this great alpha/beta friction where Abby’s approval is key to divorcé Bill’s sense of belonging, a comic dynamic underlined by the difference in height between the actors. It’s a clearly symbiotic relationship from the start: Bill’s shaking up of the bar’s status quo might get Abby to open up a little bit, while she and the regulars will get him to loosen up as they bring Bill into their fold. The strongest bit of expositional dialogue in the pilot finds Abby placing herself in a noble lineage of bartenders, whose true service is to listen to their customers’s trials and tribulations, and not the other way around. But the whole setup at Abby’s blurs the line between “customers” and “friends,” and that’s the most interesting and promising component of the show so far. It’s more difficult to say what, exactly, is provided by the show’s unorthodox means of production. There’s a genuine nocturnal ambience that a soundstage couldn’t provide, but as seen in curtain-peeling establishing shots, the set also has to be blasted with stage lights for the cameras’ benefit. Along with glances of a studio audience, these images reveal an internal tension within Abby’s: the artificial constructs of a multi-camera sitcom dropped into natural surroundings; an air of unpredictability lent to something so typically controlled. If the show feels like it’s over-emphasizing the outdoor shoots or the arbitrary rules and regulations governing the bar, it could be because Abby’s is so otherwise low-concept and unfussy. The deepest echoes of Cheers aren’t heard in the setting or the refuge it provides to its band of outcasts, but rather the show’s amiable plotlessness. Episodes unfold at a leisurely pace around elementary storylines—Beth realizes she might not be as close to Abby as she thought; the gang worries about losing Bill to his ex (a hilariously tedious Mary Holland)—that give the jokes breathing room, but may also prompt clock-watching around the second act. Abby’s can be uproariously funny—as when Abby agrees to answer personal questions, but only after the questioner slugs a shot of a foul, promotional vodka—but it’s not about to clobber viewers over the head with volleys of zingers passed off as conversation. It’s all in keeping with what Schur admires about Cheers; he’s surrounded by other behind-the-scenes talent with experience in making heavy-drinking hangout comedy: Malmuth worked on the first five seasons of New Girl, and My Boys creator Betsy Thomas is a producer and director, as is How I Met Your Mother linchpin Pamela Fryman. The first impression of Abby’s is one as enticingly unrefined as its central setting. 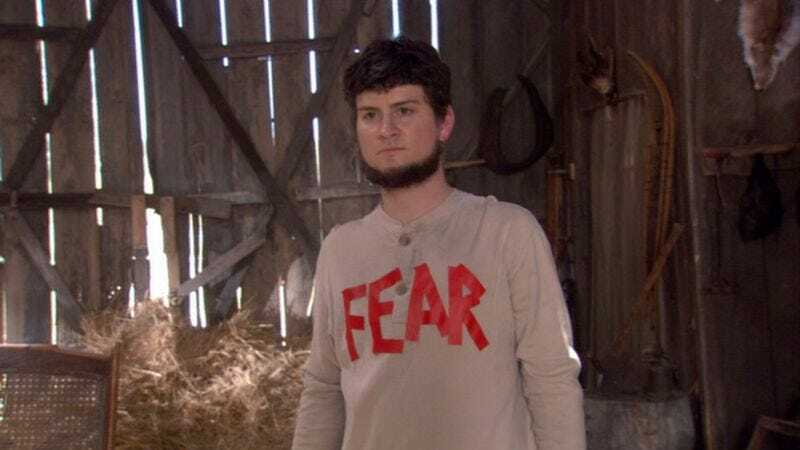 Sitcoms are often acquired tastes; this one just so happens to be reminiscent of the rare exception that tasted good from the very first drop. And while it doesn’t have everyone around the bar figured out, the sight of Morales so at home on a show with her name in the title is worth raising a glass to.